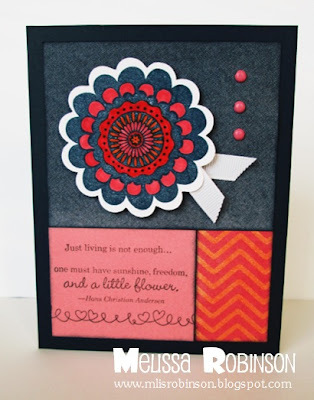 I am thrilled to be a team member of "Stampers with an Attitude", through Close To My Heart, and was invited to participate in a blog hop with fellow teammates. There's no better way to cap off Cinco de Mayo than with some inspiring artwork made with Close To My Heart products. If you are coming from Angela's Craft Closet, you are on the right track! The hop is one big circle so keep "hoppin" along to see some fabulous creations. 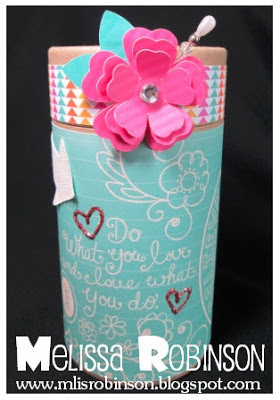 I am sharing two items that I have recently created, both using the fabulous and ever-so-popular "Dream Pop" paper packet. If you know me very well, you know I like bright, cheery and summer-like colors so this paper packet is right up my alley! It is an exclusive paper pack available only through the end of May (or while supplies last) through Close To My Heart. I'm also addicted to this fabulous flower pattern made from our exclusive Cricut Art Philosophy Cartridge. I started at size 1 3/4" and reduced it in size, two times, by 1/4". A little bling and some glitter and it makes for a cute container! Oh! I also love the saying that I used which is contained on one of the sheets of paper, "Do what you love and love what you do." That describes me to a "C" (lol) in regards to Close To My Heart that is. Thanks for taking the time to stop by. I would love for you to leave a comment if you feel led to do so. Now, "hop" on over to Scrapper's Therapy where you will find some fun artwork by Amber. And a HUGE THANK YOU to Melinda Everitt for coordinating this swap! This is a fabulous quote from Hans Christian Andersen, "Just living is not enough...one must have sunshine, freedom and a little flower." 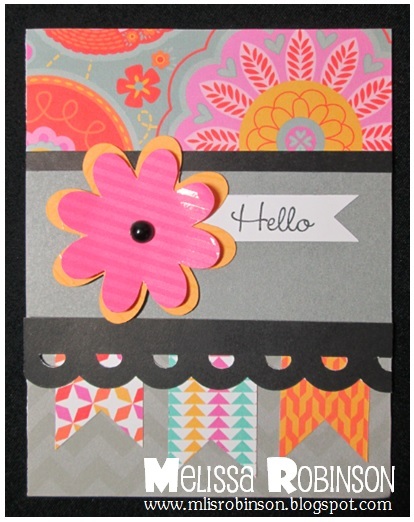 So I thought it was perfectly fitting to incorporate this fun flower image from the "Girls Rock" stamp set. (It is one I have used several times in recent posts.) It's just plain fun! One of the paper patterns I like from the Claire paper packet, and you would never believe it, is the denim-like one where the flower is situated. I just like its' appeal when I pair it with Outdoor Denim cardstock. These colors were fun to work with. I hope you can enjoy some spring-like weather in your neck of the woods today. Have a beautiful Saturday! This card, made with the Clementine paper packet, was made for a friend's birthday. The paper packet offers a soft and "country" appeal and is fun to work with. A few square studs later, and foam tape to add dimension to the boots and sentiment, I felt it was complete. If you caught my blog post on April 26, you saw that we have a fun paper pack that is debuting today! 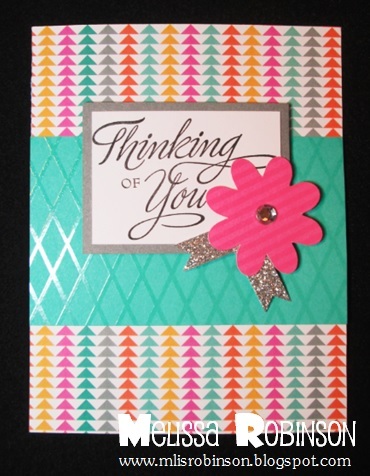 It is called "Dream Pop" and the colors and fun patterns are sure to "pop" out at you! With just a $35 order, it can be yours for just $10! It's well worth those $10, let me tell ya! I have already been playing with this paper packet and am looking forward to decorating several dimensional items I have in my studio. (Those will be posted soon.) But to start off this month, I wanted to share this card I made with some of the fun patterns in this paper packet. The photos just do not do this paper packet justice. You have got to see it in person. And the texture on some of the sheets, like on the turquoise-shaded piece shown, are too fun! The textures vary on several sheets of cardstock. 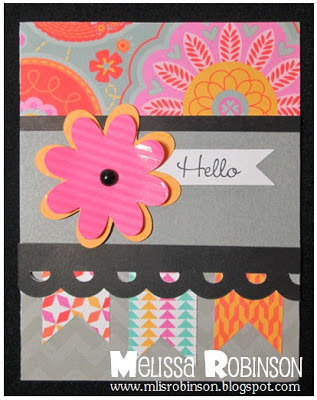 Check out my customer newsletter where you will find another card creation there. If you would like to be added to my newsletter distribution list, please click here. Complete the information and then let me know you did so in the comment section below. I'll send you a fun card for doing so!